My cover for The Season of the Witch is awesomely perfect for the story. 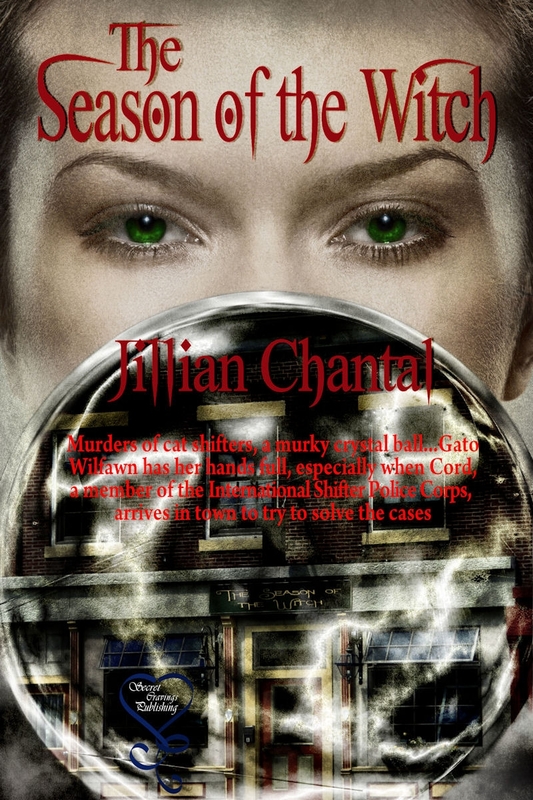 I love the green eyes, the murky crystal ball and the font for the title and my name. I also love, love that the cover artist, Dawne Dominique, fit in the name of the store over the shop door. She nailed my vision of this shop and the town. I think she’s an amazing cover artist. This story comes out in June, 2012. And remember, I’m still in the spotlight at Desert Breeze. I’m talking about the inspiration for the hero of The Gambler in the post today. Thanks Rita. I am pretty thrilled with it. Oooh, that cover is spooky good. I wouldn’t have noticed the title over the door if you hadn’t mentioned it, but what a cool thing to do. It all goes together so well. Is this a novel or short story? Thanks Laurie. It sets just the right mood. And one of the things I really wanted on the cover was the shop since the name of the story is the name of the store. I love that Dawne worked that in. It is a 13,500 or so word story so not full length. Thanks, Sandy. Dawne did an amazing job! Wow, this is one to take notice of. The cover alone will get notice. Thanks Lavada. I think it’s really eye catching. Thanks Danica! Gotta get the Friday fact up when I get some energy.